A Crown was struck to celebrate the British Exhibition in New York in 1960. 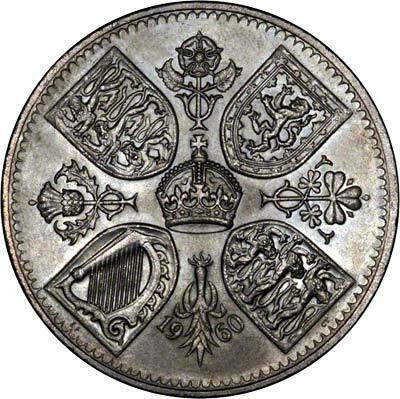 The four national shields of the United Kingdom on the reverse are interspersed with the national flowers: Rose, Thistle, Leek and Shamrock for England, Scotland, Wales and Northern Ireland. 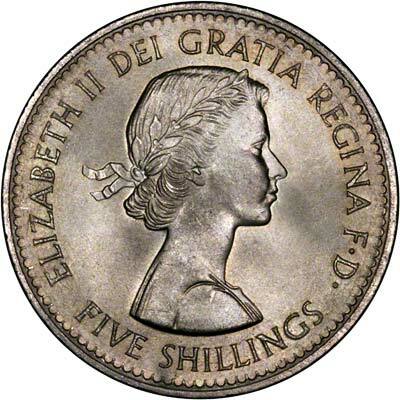 This is the first time that the effigy of Queen Elizabeth II had appeared on a crown (in her coronation year 1953 she was portrayed on horseback). Crown, Elizabeth II, Great Britain, New York.